Transgender Man: Loren Cameron was born female and transitioned to male. Welch wants the State of Texas to force this man into the women’s restroom. Does ‘inboard’ and ‘outboard’ actually comport with what Dave thinks the law is? 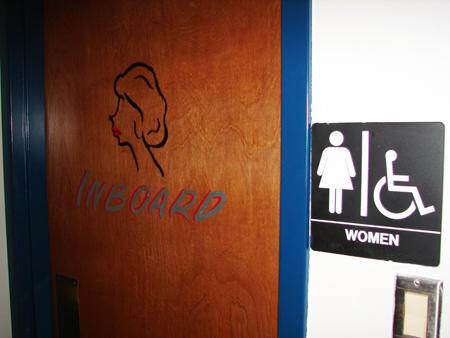 Does ‘inboard’ and ‘outboard’ actually comport with what the law actually is? And now…the Final WWDWD question: Just where would Dave Welch want Loren Cameron to go tinkle? Any winners get to ‘go shopping’ with Chuck Woolery on Wheel of Fortune circa 1975. Bring your own ceramic turtles! This entry was posted on Saturday, November 27th, 2010 at 12:10 pm and is filed under Random nutty fundies. You can follow any responses to this entry through the RSS 2.0 feed. You can leave a response, or trackback from your own site. 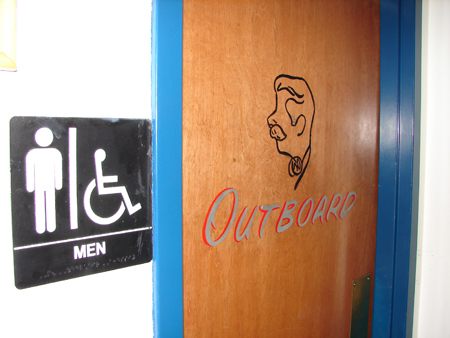 They have very special-purpose lavatories there — one for Joseph Stalin, and the other for some sort of rodent-like creature I can’t quite identify. Inboard and outboard must represent one’s respective preference in terms of marine engine configuration. Nothing else makes any sense.